RankOne SEO is a Minneapolis based SEO and Internet Markering Agency serving clients in the Twin Cites and Nationally. You Need To Be On Page 1 & We Can Take You There! RankOne SEO is a unique Internet marketing SEO agency based in Minneapolis, MN. We work with clients both locally, nationally and internationally, who need top search engine rankings fast. We never request that clients’ enter into a long term contract with our agency. We firmly believe that we must earn our paycheck each and every month. Our team understands that a strong online presence in the search engines and in social mediums is critical to the success of your online business. Is your website nowhere to be found in Google/Bing/Yahoo? Did you lose your rankings in Google/Bing/Yahoo? Do you need to be on page # 1 in Google today/Bing/Yahoo? Do you want to double or triple your online business fast? Do you need an expert online marketing consultant? With RankOne SEO, we will get you to page # 1 quickly. Getting you page #1 exposure is our top priority. It is a fact that 90% of all search engine optimization agencies are ineffective and really don’t understand how the search engines work. There is no formal education required to be able to call yourself an SEO. Anyone can claim to be an SEO expert and claim they can get you to page #1 in Google. The truth is, most SEOs don’t deliver as promised. The difference with RankOneSEO is that we have been getting sites ranked on page # 1 since 1997. We are also aware of the constant algorithmic changes being implemented daily by Google. We regularly analyze our methods and utilize case studies to back up our decisions. We are data driven. We do not believe in magical SEO potions. We pay attention to the SEO industry, and we understand what methods do and do not work. We are an American based SEO and Internet Marketing Company. We are a full-service professional marketing agency and we can help you build your web presence and your brand. Our executive team will work with you to identify your specific goals for your online business. After we identify your goals, we will make recommendations to meet your specific objectives. We will help to create a long-term approach to building your brand. We feel that brand and brand authority is critical for building a successful online business. Typically, customers start to see improvement with their rankings within 2-6 weeks. We get most clients to page #1 within a very short period of time. After all, there is a reason we decided to call our agency RankOne. Being on page # 10 in Google really doesn’t help you. We won’t be happy until we get you to page # 1. We will also work with you to make any recommendations for your site to build your band over time. We will never try to push you into something you don’t need. We always listen to your specific goals and we make recommendations on how to get you there and keep you there. As a professional online marketing agency, we can also consult with you about ideas or concerns you may have with your customers and competition. We are a full service marketing agency. We regularly advise our clients on how to best leverage their online business for maximum growth opportunities. We also provide our clients with a weekly report card to prove just how valuable our service really is. To get a no obligation quote, please contact us. Call us today at (952) 479-0110 or toll-free at (800) 625-1664 or use the form below to send us a direct email. *Because we give our clients such personalized attention, we only work with a select number of clients each month. We offer a personal, results driven approach to SEO. 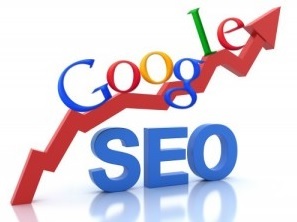 If you have lost your rankings in the search engines and you need a fast recovery, we can help. We deploy several tactics to help our clients recover from penalties in Google. We use a proprietary strategy that works very well, and in every niche. We simply use effective methods that absolutely work every time. If you have a new online business, we can help your build a strong and compelling online presence. We provide Search Engine Optimization (SEO) and Marketing services for clients all over the US and the world. Please contact us today for a no obligation quote. Call us today at (952) 479-0110 or or (800) 625-1664 use the form below to send us an email.